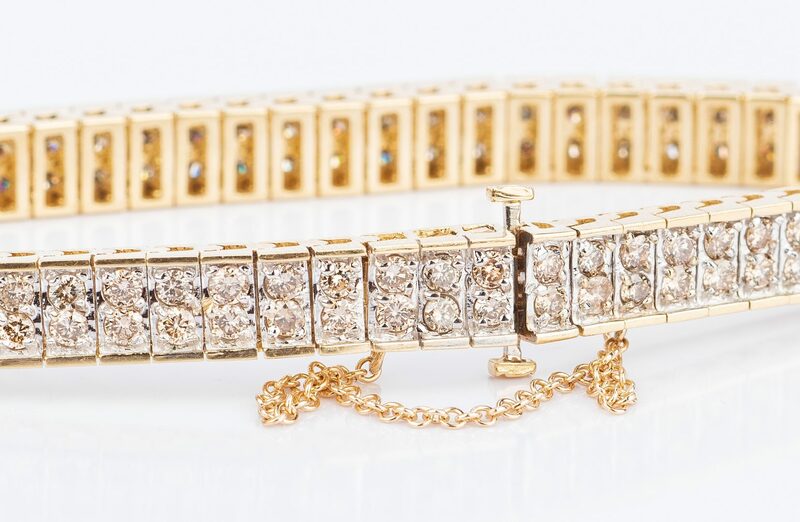 14K yellow and white gold diamond line bracelet, each link containing two round cut diamonds, total number 122, total diamond weight approximately 6.10 cts (approx. SI, K-L), 7-3/4" L with safety chain, 22 grams. CONDITION: Some surface scratches on mounting.